Preview trailer for Black Lightning episode 2 "LaWanda: The Book of Hope"
Following tonight’s Black Lightning series premiere The CW aired a trailer for the second episode of the show! “LaWanda: The Book of Hope” airs on January 23, and you can see the trailer below. Underneath that you can find some preview images and a description. If you’ve just finished the series premiere and want to talk about it with other fans, charge on over to our Black Lightning forum! IS HE BACK? — As the community struggles with the violence surrounding them, a glimmer of hope appears: Is Black Lightning (Cress Williams) back? Lynn Stewart (Christine Adams), noticing the changes in the community, is also left wondering. While Jefferson Pierce (Cress Williams) struggles with his decision, Gambi (James Remar) urges him to take up the mantle once more and return to life as Black Lightning. Anissa (Nafessa Williams) and Jennifer (China Anne McClain) try to deal with the aftermath of their jolting experience. Damon Gupton and Marvin Jones III also star. The episode was written by Salim Akil and directed by Oz Scott (#102). Original airdate 1/23/2018. 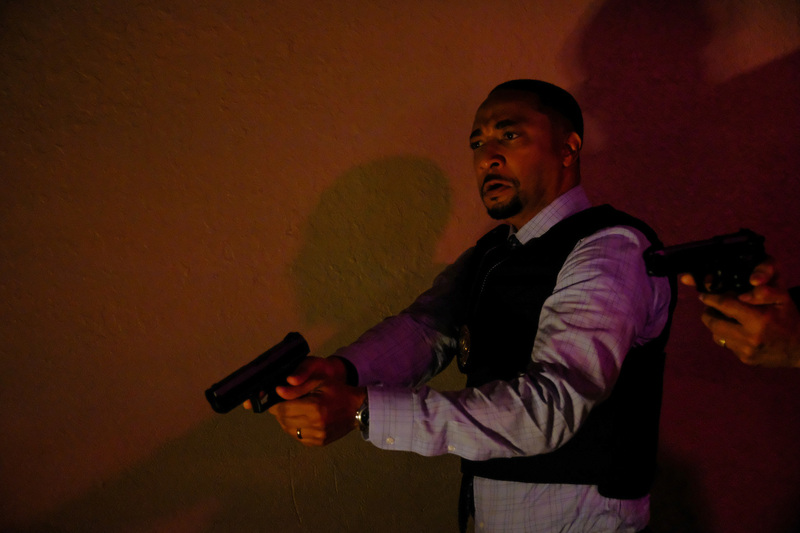 Black Lightning -- "LaWanda: The Book of Hope" -- Image BLK102a_0139.jpg -- Pictured: Damon Gupton as Inspector Bill Henderson -- Photo: Guy D'Alema/The CW -- ÃÂ© 2018 The CW Network, LLC. All rights reserved.